I grew up in an Italian household; we shared the house with our grandparents, which is typical of Italian families. My mother and grandmother would take turns cooking dinner, and they both went to the grocery store, every day, to get fresh ingredients. 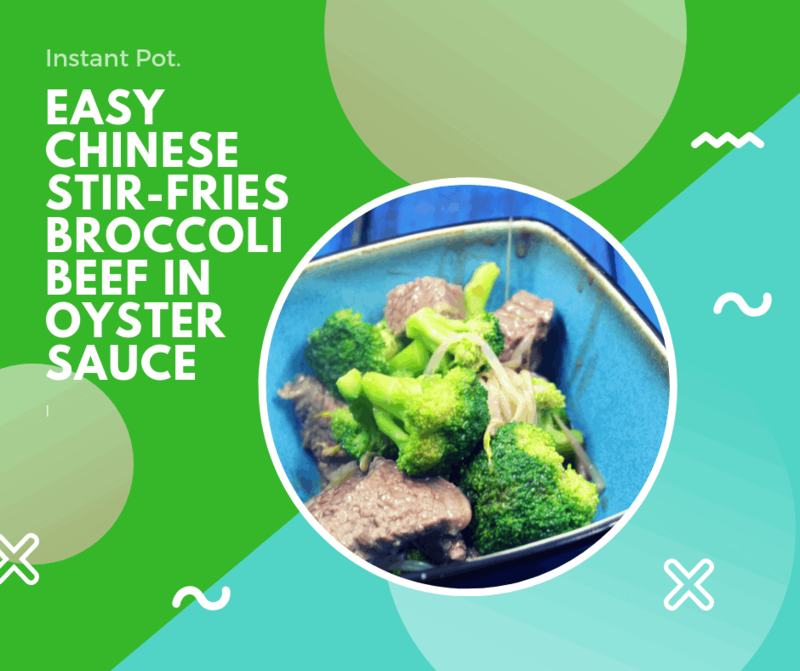 One of my mother’s favorite recipes to make was a stir-fry, she loved to mimic the flavors of Asian cuisine. Stir-fry nights were a big deal in our house, my grandmother and I would sit around and watch my mother throw everything in the wok, and see what ingredients she would or wouldn’t add. Because most of the stir-fry happened on Friday night, anything in the refrigerator was fair game. Stir Frys became one of the first dishes someone taught me to make by myself, alongside with my mother. After I mastered (in my own eyes) the stir-fry, I moved on to other Italian dishes with the guidance and support of my grandmother; I expanded to making homemade spinach gnocchi and lasagna. Soon, I also had the love of cooking. 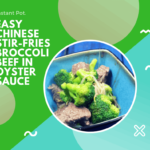 Now, I know that every kitchen does not have a wok, but if you are reading my blog, you probably own a Pressure Cooker (Instant Pot) and I am adapting my family’s stir-fry recipes to that device. 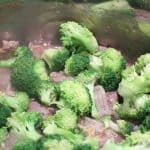 So, if you love Chinese food, that is fast, healthy and delicious, you are at the right place, over the next year, I will give you 52 stir-fry recipes, please remember that you can adapt any recipe to use what you have in your house, and to your taste buds. So, experiment, and if you come up with a great wok dish, please share it in the comments, I am always looking to hear from you, my readers. Soy Sauce: A sauce made with fermented soybeans, it’s used as a condiment. It makes a perfect seasoning. 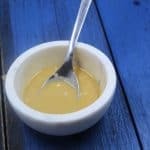 Oyster Sauce: A sauce made with oysters and soy sauce. Sesame Oil: Oil that comes from sesame seeds. Hoisin Sauce: Made with fermented soybeans, mixed with garlic, five-spice powder, it’s a sweet sauce, almost like an American BBQ sauce. 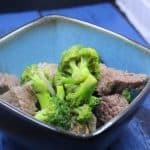 To make sure that your Instant Pot (Pressure Cooker) stir-fry is a success here are a few tips. 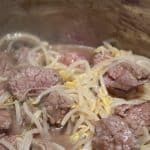 Make sure that all of your ingredients are cut before heating up the Instant Pot. 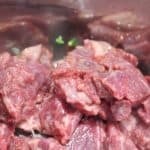 Chop any meats and vegetables you need before plugging in the Instant Pot. 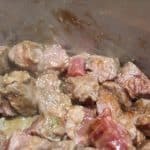 Make the marinade/sauce before your turn your instant Pot on. 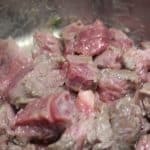 If it’s a meat stir fry, they put your meat in, directly and give it a nice color on both sides, before you add vegetables. Serve over white rice for a complete meal, prepared in One Pot. 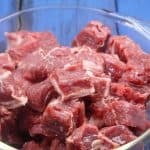 Start by preparing your beef to stir-fry. 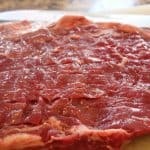 Slice your beef into one-inch pieces. 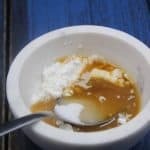 Then in a small bowl, mix together the cornstarch, soy sauce, dry sherry, and sugar. Mix well, until well blended and the cornstarch is dissolved. 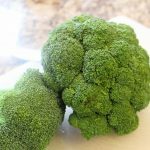 Separate the broccoli stem from the florets and make them into bite-sized pieces. 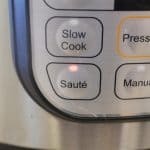 Press the saute' button on your Instant Pot, let it "heat up" for about 1 minute. 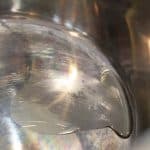 After the Instant Pot warms up, add a tablespoon of olive, allow the oil to heat up for about 30 seconds. Then add the broccoli and stir-fry for about 1 minute. 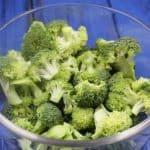 Keep on moving the broccoli with tongs, so they don't stick or burn to the pan. 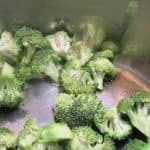 Then add the broth to your Instant Pot, and continue to stir, until the broccoli is tender. 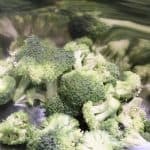 Remove the broccoli from the Instant Pot, and set aside. Then add the rest of the oil, and put in your meat, garlic, and ginger. Stir-fry the meat, until it's browned on one side, then mix it around the pan, by using tongs. Continue to saute' until the meat is cooked through, and it's browned on all sides. Then mix in your bamboo shoots and oyster sauce, continue to mix until all of the meat is covered with the sauce. 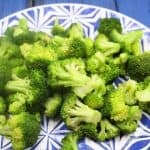 Mix well, then return the broccoli to your pan. And combine.